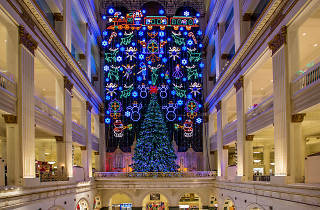 The giant singing, blinking, five-stories-tall display has been craning necks since 1956. So many Philadelphians smile remembering how their parents would drag them to the department store to sit on the floor and watch the time-honored story. 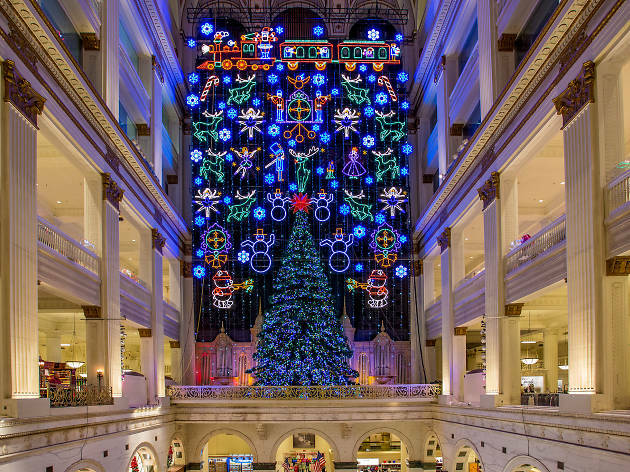 More than 100,000 LED lights bring to life jolly figures like nutcrackers, clocks, elves and more. The shows happen every other hour from 10am to 8pm, but for the ultimate experience time your visit around noon. A bonus: Each show ends with music from the famous Wanamaker Grand Organ.